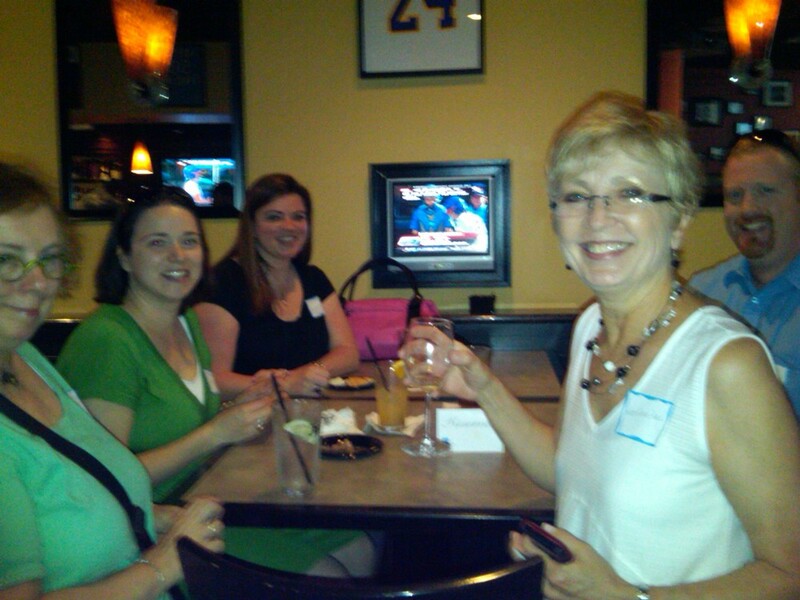 Well our first #DeHappyHour for Southern Delaware was a great success ! 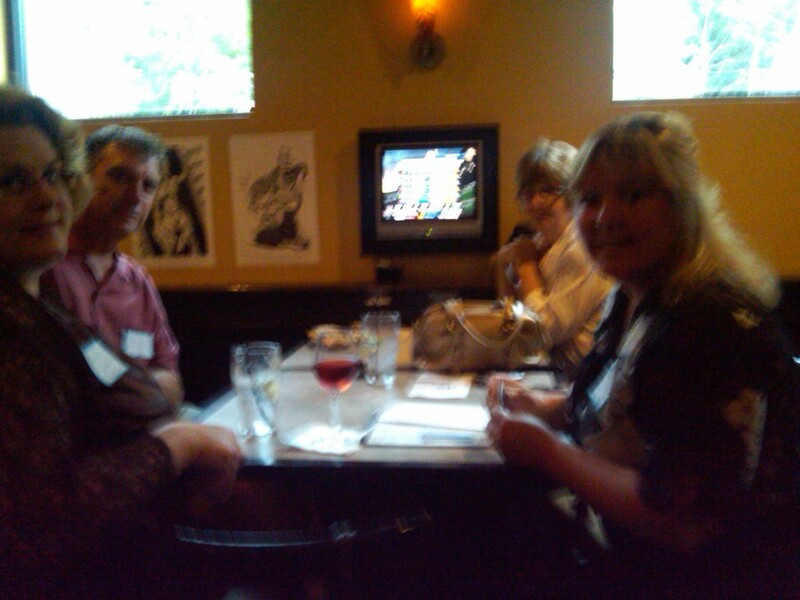 All in attendance, about 30 tweeps (I lost count as other patrons came in and just joined in) and non-tweeps, had a great time at Abbott’s Grill in Downtown Milford. We had a great time meeting each other, many of us for the first time, and networking with one another. 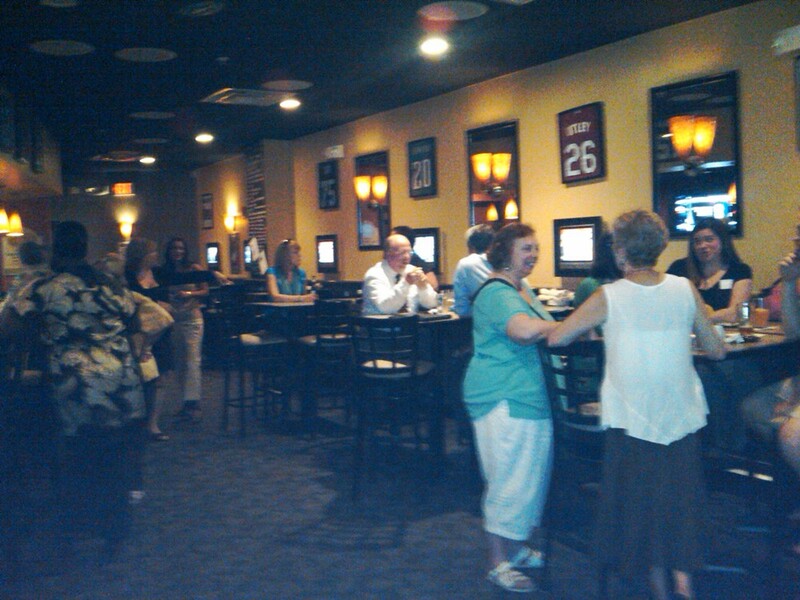 Thanks to Chrissy Sarro and Abbot’s Grill for hosting this event. Abbott’s offers a great menu with upscale appetizers and wonderful entree’s and sandwiches. We took over Bald Jason’s Pub, and even included those who were sitting at the bar. Networking and meeting new people were they key to this event, but we also had fun getting together. Shortly before the 8:00 the Mayor, Joseph “Ronnie” Rogers and some of the City Council showed up and were incorporated into the group. We didn’t solve all of Kent and Sussex County’s problems but we did discuss possibilities for future events. The need for more local Social Network Media training and a Delaware Poken. 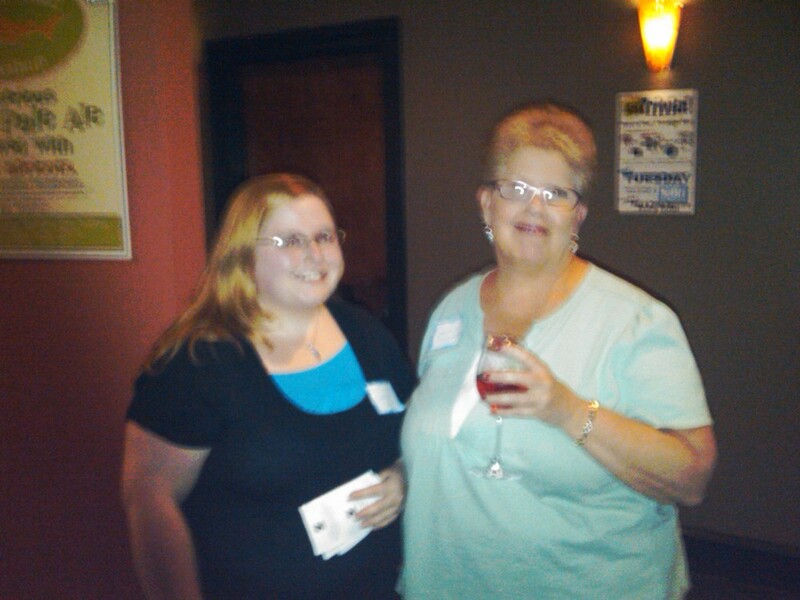 While the business Cards were flying around (a no no for #DeHappyHour) it was OK this time, we were newbies to this event. Pokens would have been great. So I’ll be checking into that possibility. Thanks to Elizabeth Purcell of DwntwnMilford for Suggesting the location and helping with crowd control. Everybody I spoke with is ready to do it again. So stay tuned to #DeHappyHour for information on our next Event for Southern Delaware. To all of you who attended, Thank you. You all made this a great event ! I have to apologize for my twitter tirade last night. A recurring problem with my home Comcast “Triple Play” is making me nuts. The TV is fine, but internet and phone service go through spells where they go in and out every couple of minutes. Can’t complete a phone call. People keep getting our Comcastic Voice message and not to mention, I CAN’T GET ON THE INTERNET ! After several attempts to call Comcast at the Toll Free number that rang incessantly busy. I managed to get through on a local number. Sorry Comcast I was seeing RED and missed the local number at the bottom of the bill. I tweeted to @comcastcares for help in desperation and anger. Thanks @ComcastBonnie for answering. I had already gotten a tech on the phone, who was more than patient with me and made every effort to get someone to my home at MY convenience TODAY. Hopefully they will get the problem fixed for good along with some other problems with equipment in my house which I’m told is not working and needs to be replaced. This brings me to another point – Don’t sell the technology option if you don’t have the “working” hardware to make it happen ! It’s all used or refurbished and does not work with the signal you are trying to push through it. OK I feel better now. So my main point. On more than one occasion, Social Media has come to my rescue in one form or another. From Tweetdeck issues to needing office supplies to help with my not so Comcastic “Triple Play” and more. My question to you. Small Businesses, are you listening for your customers to shout out for help ? I am big on Customer Care in our businesses. Twitter and Facebook are just a few ways that I listen to what our customers have to say and it’s the most personal and immediate way I can interact with and fix our customer problems or concerns. Cudos to those who do use Social Media in this way. If your not using social media, your probably not reading this, but if you are reading this. Listen, Learn and find out about how you can use social media in your business. If you are in Delaware and want to learn More, Follow #NetDe on twitter…..you don’t even need a twitter account to do this. Ask questions. There are Social Media workshops everywhere at most any time. Find one and attend. I’ll let you know if they fix the problem….they even gave me a big credit for my troubles.